In addition to Residential and Commercial New Pool Construction, Hawaiian Pools has a full Service Department. 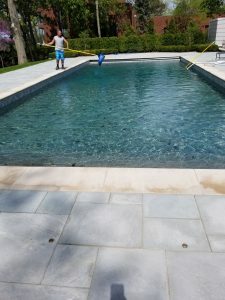 We don’t just provide pool service and repairs, we provide satisfaction and relief. We believe that our customers want more than just great pool service, they want assurance that their pool equipment is working properly and that their calls with concerns will be answered or returned promptly. Hawaiian Pools employs APSP Certified Service Technicians. They are also certified in new pool Start-Ups. Whether you need assistance weekly or monthly, Hawaiian Pools’ qualified professionals are at your service. Hawaiian Pools’ weekly cleaning service takes care of everything. We vacuum your pool, clean the skimmer and pump baskets, clean the filter, check and balance your pool water chemicals and make sure your system is running correctly. Enjoy your pool this Summer – don’t work on it. Hawaiian Pools has the knowledge and expertise to service your pool needs as promptly and efficiently as possible. Call us today at 419-878-7946 to get on our Weekly Cleanings Schedule (limited spots available at peak Season/Holidays). 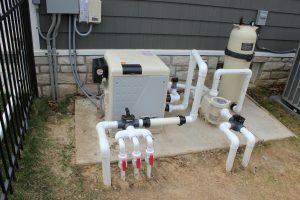 Hawaiian Pools installs a full line of heaters, pumps, filters, sanitization systems (salt, UV, chlorine, bromine) and can update any set of pool and spa equipment, for optimal efficiency and energy savings. 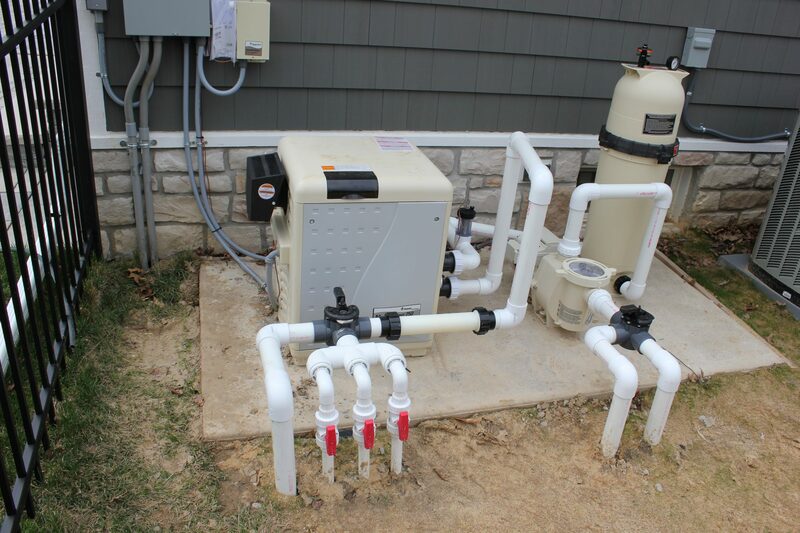 Call us today at 419-878-7946 to schedule a pump upgrade to save money on your energy bills! Go Green with UV Sanitization and Salt Chlorination! 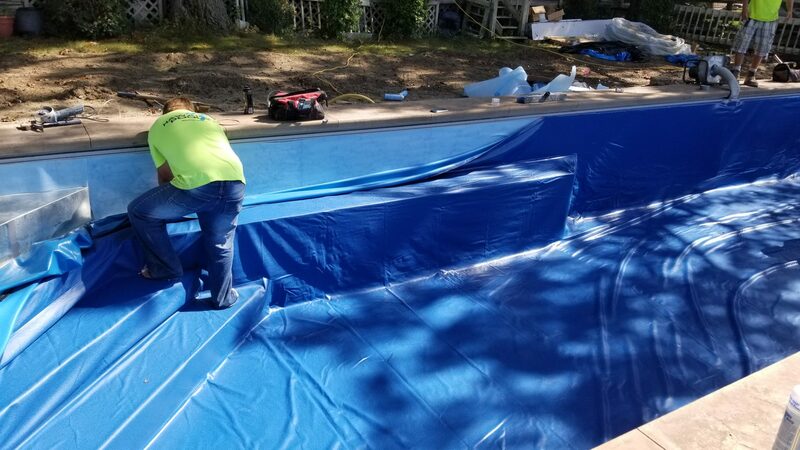 Our installation technicians have years of experience in liner measurement and replacement. We work with the leading vinyl liner manufactures to get you the best liner for your pool. In most cases, your liner can be replaced in one day. Is your pool in need of a facelift? Is your coping or tile out of date? We can help you update your pool to a beautiful trendy oasis again. Our design team can Imagine the Possibilities with you! Caring for your new pool, spa or water feature is an ongoing process. Here at Hawaiian Pool Builders, we’re by your side every step of the way. Call our office anytime with questions, concerns or ideas and we’ll do all we can to help out! We don’t just provide pool service and repairs. We provide satisfaction and relief. We believe that our customers want more than just great pool service. You want assurance that your pool equipment is working properly; that your calls with concerns will be answered or returned promptly.